Hey guys this is Sidd and this is my first guide on CRA. I have been trying decks lately and trying to find a unique combo. During my search I was playing the Reddit Blind Deck Challenge where I got to use the Mineroon deck by ☆Andrés☆ ♡ ;). I came up with my own variation of this deck and it has done wonders. This combo is getting some fame in the meta as I have seen some pros use it as well. So without further ado lets get into it. Balloon: He is your main win condition. He is like a flying P.E.K.K.A when it comes to offensive threat. He is a great punishing card due to his insane DPS and only building focus. Don’t use him at the start. After defending a push, deploy him and the Miner for a nasty counterpush. Beware of building counters as well. P.E.K.K.A: She is sometimes used on only defense, sometimes on only offense, sometimes both, sometimes as a tank and in very rare cases, even as a win condition. In this deck she is your pure defense. You will barely use her on offense because of the lack of support units in this deck. But on defense she is a beast. Her capabilities of destroying is amazing. Do only use her in case of emergencies as she is 7 elixir and you may not be able to cycle her fast enough to destroy your opponents main push. Your opponent may over commit trying to defend her, if they do, Balloon your way to glory. Miner: He is your main tank for your Balloon. You can use him as your secondary win condition if your opponent has a super solid counter to your Balloon. Since this deck has no heavy spell, He is the one to rely on to finish the tower. If your Balloon gets a shot of the crown tower early in the game, its okay to send lone miners and slowly chip away. Executioner: The crowd controlling boss and the splash unit in this deck. He is more than just a crowd controller, He is your main defense on air and even sometimes ground. He is soo good at defense that I use him more than P.E.K.K.A in some matchups. Pair him up with the Tornado to stop many of the incoming pushes. But don’t waste this amazing synergy on petty pushes. Tornado: Like any Exe deck, the Tornado must be there. You can also use this spell with the P.E.K.K.A to make it easier for her to defend Three Musk and other ranged threats. And finally, yes you can use it to activate the King Tower. Mega Minion: He is your secondary air defense and your only flying unit. He is great at defense because of his high DPS. He is for taking out offensive glass cannons. He can also take out Hogs and Balloons with an Ice Spirit. With the help of Exe, He is great at taking out tanks as well. Ice Spirit: The showstopper, no literally cause he can stop units. Get it? Get it? Okay not funny. But seriously, for one Elixir, he is value. His Freeze gives time for Mega Minion to kill a Hog, Crown towers to finish of a Lumberjack and an Exe + Mega Minion to finish a P.E.K.K.A. You can use him with a Balloon to Freeze counters giving your Balloon enough time to at least get one shot at the Crown Tower. 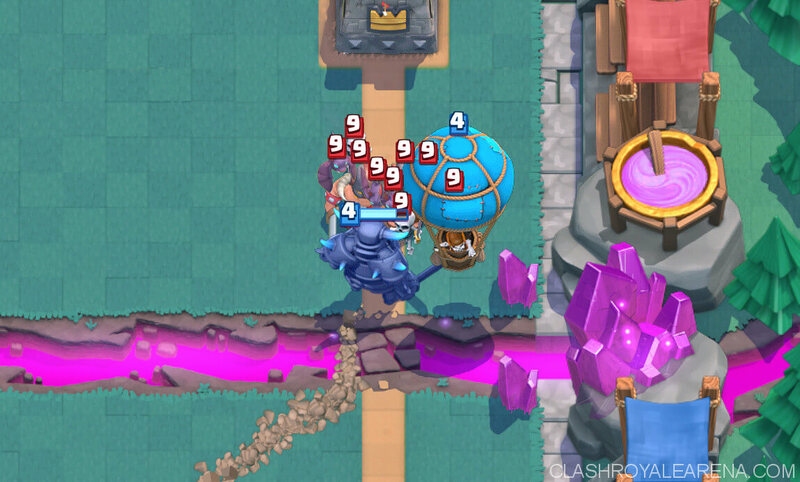 Pro Tip: If you see split Archers coming your way, wait until they cross the bridge and deploy your Ice Spirit in the middle, one tile behind the River to perfectly counter them. This period is to see how aggressive your opponent is and react to the situations accordingly. If your opponent is super aggressive like he puts Double Prince in the start. Either put your P.E.K.K.A and Minerloon. If you don’t have P.E.K.K.A. Simply Exnado and if your Exe survives, put your Balloon down and watch demolition. If your opponent is less aggressive like only one Hog deployment than its your turn to go aggressive or to wait till Mid Game. If you decide aggression, go for a Balloon and Ice Spirit or if your really daring, MinerLoon. If you decide MinerLoon, just make sure you have strong defensive backing. These options are highly not recommended in the start if your opponent is starting of slow. If you want to wait till Mid Game, just Miner in the start and defend till it’s the appropriate time to make a formidable offensive push. If so you may not use Balloon a lot in the start. So basically the start is for you to make a decision to go offense or defense. The decisions you make in the start of the game go on into this period. If you went on offense in the start (hopefully for a good reason), you probably got the Tower, so its time to slow the pace down and defend more. If you are confident they just overspend Elixir, then go for the 2nd Tower. If you went slow in the start, now is the time to pick things up. That still doesn’t mean you go for the straight kill. Just wait for your opponent’s overspending mistake and go for the kill. If your opponent is good, they still wo’nt make any errors, this will go to Double Elixir or even OT. You need to go full strength in that period. This period is to stick on defense or offense, and amp up your game in whichever side you choose. This is where you go extreme offense or extreme defense and if you are skilled you can manage both. It is hard to manage both equally, so you will have a few problem if you go neutral. If you go offense, here’s the plan. Keep cycling Balloons and Miner pushes. Keep track of counters like the Inferno Tower. Try to outcycle them. 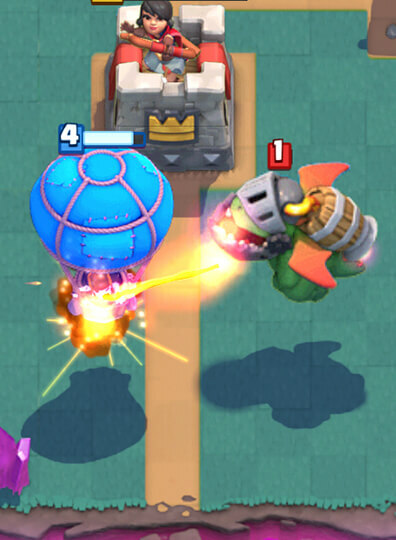 Try even somewhat baiting the Infernos by putting P.E.K.K.A’s so that the Balloons have a free way. So altogether go full force. If your Balloon has got your opponents Tower to atleast 640 HP. Your safe to just cycle Miners and go on the defensive side. Keep your opponent on their toes and don’t let them go on the offense. Just don’t overcommit as this is a mistake that will cost you a lot. If its defense your going just keep on cycling units. You may want to still go on some sort of offense. 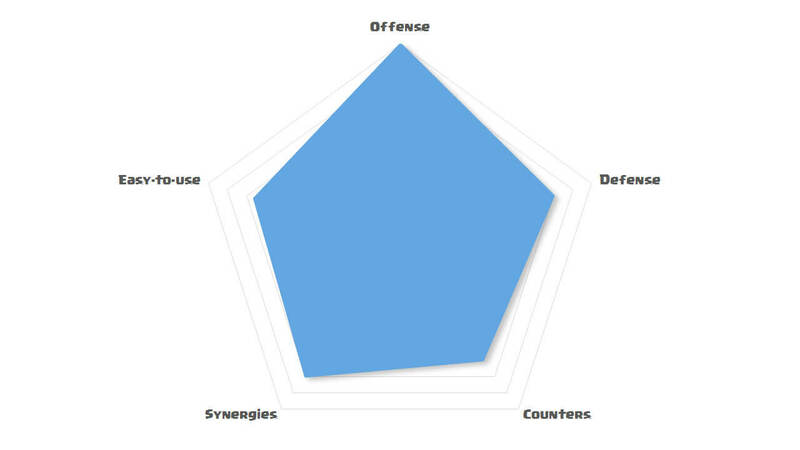 Because offense is the best sort of defense. Keeping the pressure on your opponent is a good tactic so that they can’t build their own push. Just make sure you have your P.E.K.K.A ready in case of a nasty counterpush. So basically, it’s a Balloon and Miner parade. Witch: I feel the Witch is a lot like an Executioner when it comes to clearing swarms. The Witch has a fast hitspeed but low damage, The Exe has a high damage but when its axe boomerangs it does take some time so basically he has a high damage but slow hitspeed, So they basically both clear a Minion Horde at the same time. But the Executioner gets more value of the Tornado because the Exe can hit through multiple troops. Anyway, you wont be using the Witch a lot differently but I don’t recommend this replacement as she cant give you the great defensive value out of the Tornado. You may consider using her because of her skeleton spawnage. Wizard: He is a better replacement than the Witch because he has a decent hitpeed and good damage as well and he gets better value from a Tornado because of his great damage. He clears swarms quicker than an Executioner. but I still prefer the Executioner because on tournament standards the Exe has higher damage and way more hitpoints. The Wizard cant cut through units like the Exectioner. Magic Archer: I don’t have the Magic Archer yet, but I have used it in a few instances such as the Reddit Blind Deck Challenge. The Magic Archer makes a good replacement for the Executioner as it gets the most value out of the Tornado compared to the other replacements I have mentioned before because it can pierce trough multiple troops like the Exe. The Magic Archer also has great projectile range and has good hitspeed. But the Magic Archer has less damage compared to the Exe and is comparatively less efficient in clearing swarms. If you use him, try paring him up with Tornado to get most value out of him on defense and offense as well. Now Hog Rider is comparatively easier to counter as it is a ground unit. The Hog is a better punishing unit as it is very fast and does good damage as well. Using him will be a bit harder because he isn’t very tanky either. You want to use him like you would with a Balloon, what I mean is to send him down with Miner tanking for him so that the counters look towards the Miner, use Zap if needed. This will be tricky because you need to time the Miner perfectly so that the Tower looks at the Miner and the Hog is quick so be careful. So again this is the best replacement for the Balloon. Arrows: The Arrows is a similar spell to the Zap. It is a light spell just like the Zap. 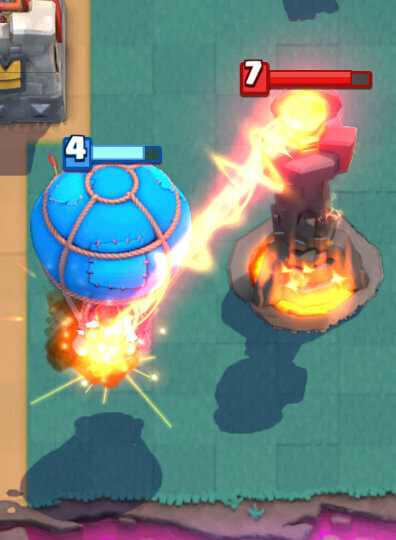 The Arrows would be better than the Zap because of its ability to destroy Minion Horde, a major counter to Balloon, You can pair up Ice Spirit with Balloon and when the Ice Spirit jumps on the Minion Horde, you can Zap it up for the same amount of Elixir. The Zap is better in resetting, faster deployment and a cheaper counter to many swarms. I’m not going to keep a separate for both because they both have two very close similarities, one they both have a different way of defending in contrast to the P.E.K.K.A and two they both get defensive value because of their special qualities. Yes, they both work differently compared to the P.E.K.K.A. Flying Machine: The Flying Machine has a good quality, that it’s a ranged troop, and a far ranged one as well. With its decent damage, it would make a pretty good replacement for the MM, but due to the lack of HP and its vulnerability to any heavy spell makes it not such a good card in the meta, plus his damage is way lesser than the Mega Minion and finally it costs one more Elixir than a MM. Musketeer and E wiz: Again, not going to keep a separate guide for these two becuase work almost the same way. You want to keep them away from support units in an incoming push because they are quite squishy as well and use their range as an advantage. I would prefer using the E wiz as I have mentioned before the deck is weak to Inferno units and we could use a bit of resetting. Flying Machine would be the closest replacement to the MM as it is a flying unit. 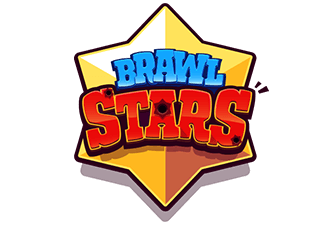 In this part of the guide I will be telling you cards to look out for and how you should properly deal with them and to not make certain moves that lets your opponent to use these cards in full efficiency against you. As I mentioned before, the Inferno units are a problem with this deck. These flying reptiles aren’t as big of a problem as compared to its building counterpart, since the Balloon is only building targeting unit. The key here is to never send your Balloon alone. I prefer sending it with an Ice Spirit so that the Inferno Dragon cant heat up or you can use Zap with it. And don’t forget to punish them if they play Inferno Dragon as a offensive card or as a starting move. Now we have a problem, because the Balloon is building targeting unit. Luckily this card isn’t so famous in the meta right now (although it is used n a certain Hog Cycle deck). Sending it with an Ice Spirit but it dosnt help. So in these situations you want to out cycle these buildings. It sure is hard to do so in Single Elixir, so wait till Double Elixir and go for destruction. You can also Miner the Inferno so it gets it down to low health. Try baiting it out by defending a push with P.E..K.K.A and if your P.E.K.K.A walks onto their side, hopefully they deploy their Inferno so that its out of cycle when you put your Balloon. You should also try holding onto your Balloon until it’s the right time to go for a push. These savages are the reason why I NEVER put P.E.K.K.A in the back with this deck. And also one of the reasons I never put P.E.K.K.A on offense as well. Because the moment you put the P.E.K.K.A in the back, T=they go on the offense the other lane and with the lack of support, your P.E.K.K.A and your push will get destroyed. And if you meet that odd loonatic (Heh, heh get it, lunatic and Balloon… Okay ill stop) who uses Elite Barbarians Rage than you are in real trouble. So in this case, never play P.E.K.K.A on offense. 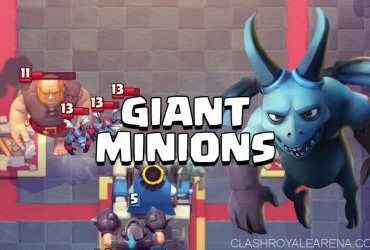 Golem Double Prince Beatdown: These decks do better in Double Elixir so you’ve got to get most of your damage done in single Elixir. Keep switching Miner deployments, sometimes on the Tower and sometimes on the Pump so that your opponent dosent know where you are going. 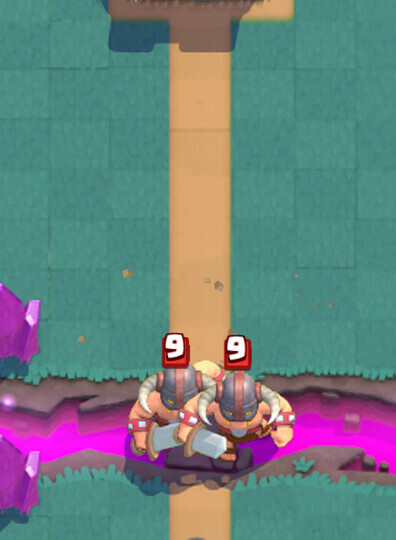 When nearing Double Elixir, ALWAYS Miner their Pumps so that they don’t build up Elixir. 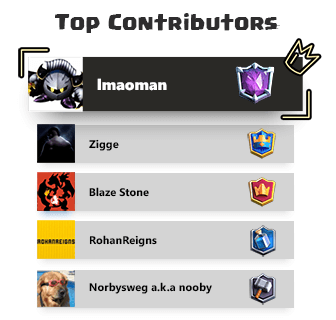 In Double Elixir, P.E.K.K.A their Golem, and Exnado for supports and use the MM if needed. Don’t let them go on the offense. The moment your done defending, make a Balloon counterpush of the remains and go for the win cause again offense is the bet sort of defense. If you go only defense in Double Elixir than your guaranteed your going to lose. Three Musketeers: P.E.K.K.A for the Three Musketeer, Tornado if necessary. If they go split lane pushes Exnado one side and deploy P.E.K.K.A on the Two Musketeer side. Only deploy the Balloon after the Three Musketeers are dealt with because they shred Balloons in no time. Punishing Collectors is a good move as well, but its important to not overuse Elixir. After dealing with the Three Musketeers, deploy Balloon and have Zap ready because these decks usually have zappable cards as arial counters (Ex. Bats). Hog Cycle: Mega Minion for small Hog pushes, use Ice Spirit if necessary. P.E.K.K.A for big Hog pushes and then go on the counterpush on the same lane or opposite lane for pressure. Important thing is to keep up with the Hogs as they can be devastating. Don’t overuse as that’s your worst mistake. So you basically have to run a Miner deck with 3.7 average Elixir deck and without Poison. The best means of action is to distract the Crown Tower, so that the Balloon can move onto the Crown Tower, but they probably have a counter for that too. So basically your screwed on offense. On defense, have P.E.K.K.A tank their siege weapons shots. And try your best to keep up with their cycle. 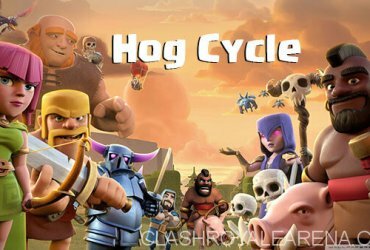 Old But Gold 2.6 Hog Cycle!